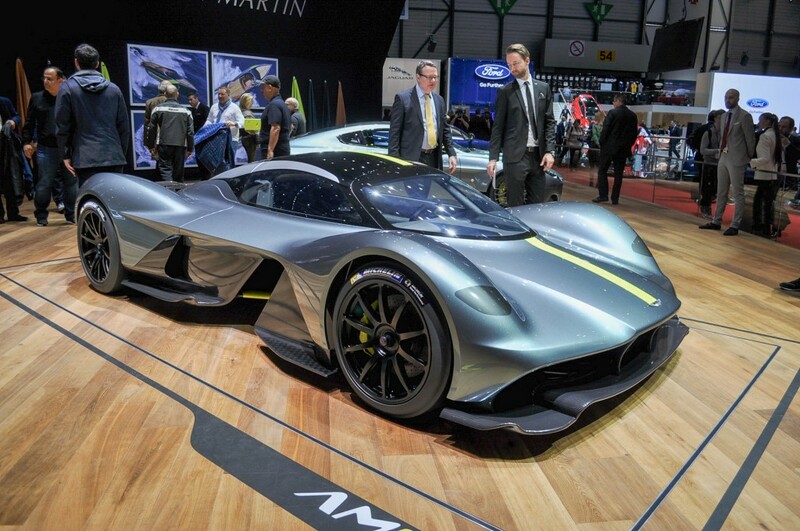 Aston Martin have officially dubbed their secret AM-RB 001 Hypercar; the Valkyrie. 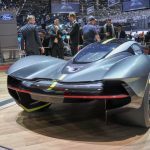 The car which is being co-developed with the Red Bull racing Formula 1 team was revealed at the Geneva motor show today and Aston gave a taste as to what we can expect from the, still to be completed, hypercar. 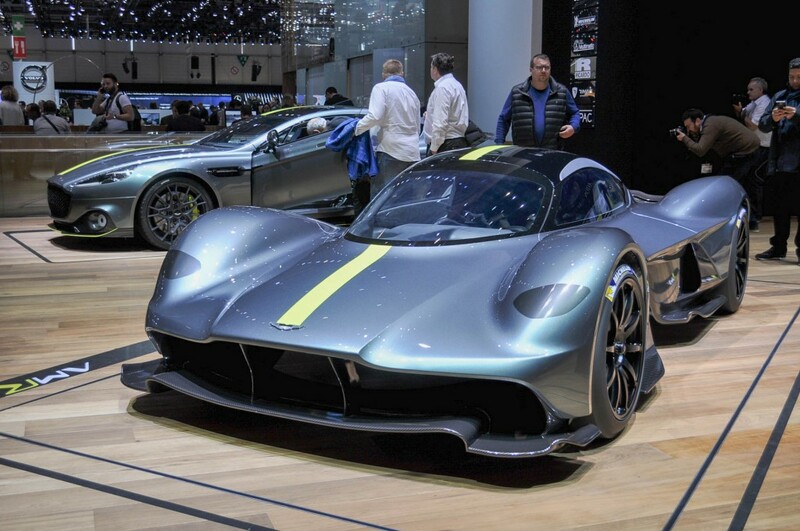 For starters It looks like Aston went with a similar Norse naming convention to their current, track only, hypercar the Vulcan. 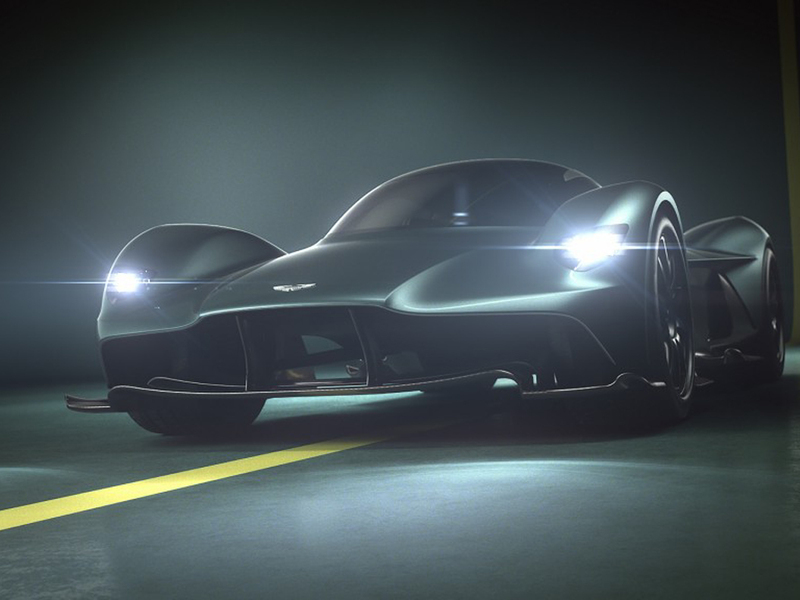 Also like the Vulcan, the car will be produced in very limited numbers – 175 to be precise and 25 of those will be exclusively for the track! It should come as no shock then that it’s already sold out! Imagine that eh. How does it put down? 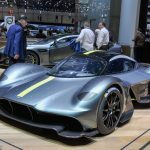 Well we know the car will be a hybrid electric monster with a Cosworth developed V12 pushing the petrol part of its drivetrain, while Rimac will provide the electric motor. Both power plants should combine to generate an expected 1000 bhp! Other details Aston Martin have confirmed are that the tyres will be Michelin Pilot Sport Cup 2’s with the front rubber size 265/35 ZR20 and 325/30 ZR21 for the rears. The grippy tyres will also be wrapped around 20 inch wheels made from a magnesium alloy – to help shed further weight. What about the body of the car? 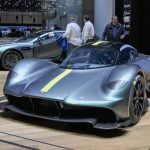 Multimatic the Canadian manufacturer of the carbon cell sturcture for the Vulcan have again been put to work on the Valkyrie, that’s a good thing! 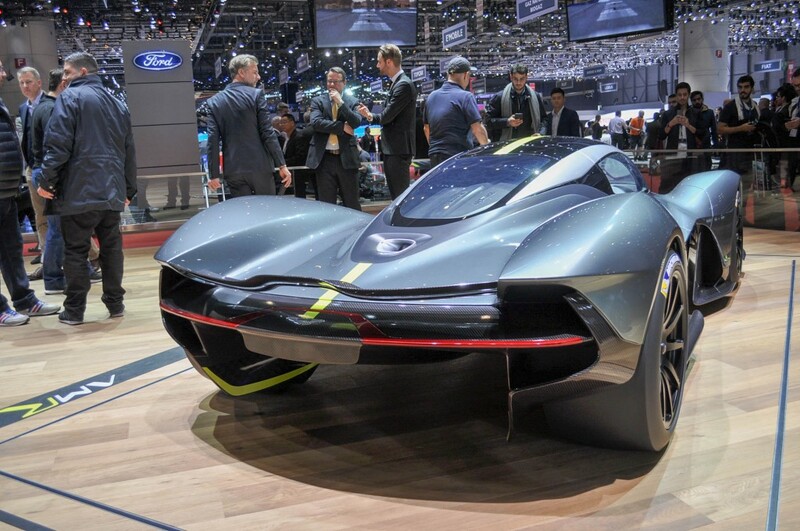 The goal is to obtain 1:1 ratio of horsepower to kg – similar to that of the Koenigsegg One. So meticulous – will be the use of light weight material on the car that it won’t feature a single piece of steel anywhere! Now, if the sound from that video doesn’t send a tingling sensation through your body and into your genitalia, then maybe we’re a bit strange. 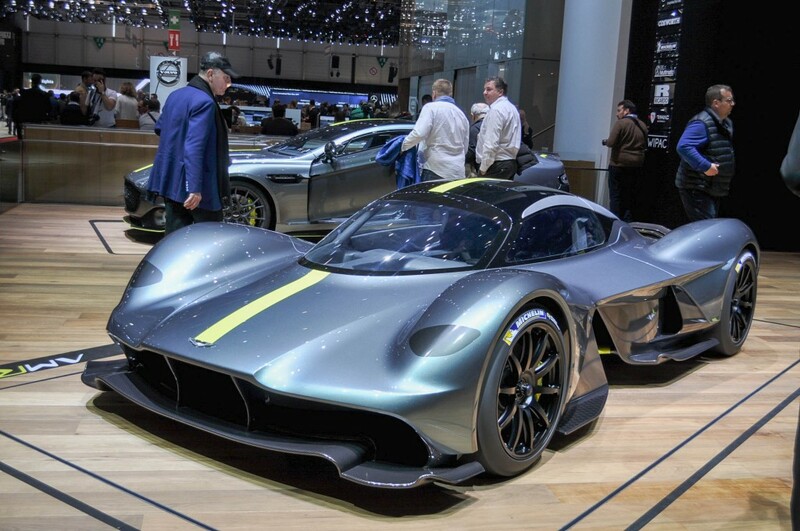 The point is, this thing should sound incredible and the fact that the Red Bull racing F1 guys are working with Aston on this is just gravy. 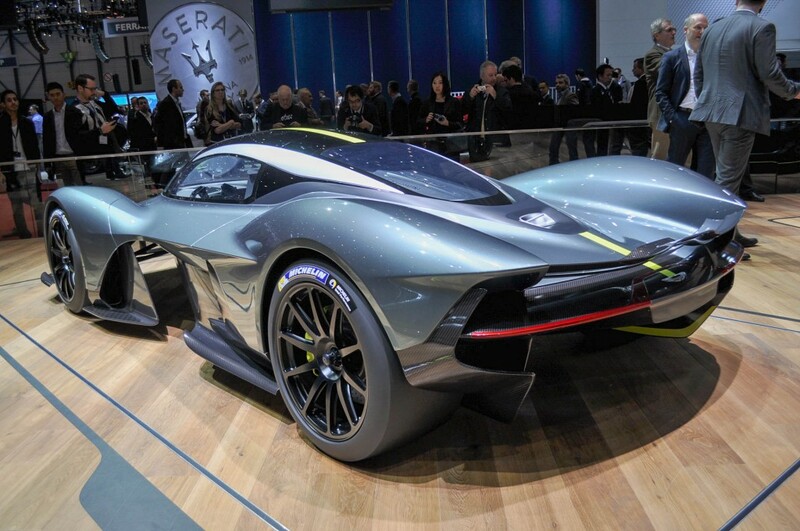 We’ll expect then the sort of high pitched exotic exhaust note you get from a Vulcan, LFA or F1 car. Price tag? When can we see more of the car? As far as price is concerned we think its probably a case of, if you have to ask… Nonetheless we’ll keep you posted as soon as we know. 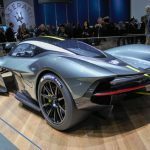 An official unveiling of the Aston Martin Valkyrie is expected sometime next year, remember the car isn’t complete, but we’re sure we’ll have many more features and details for you before then. Stay tuned.